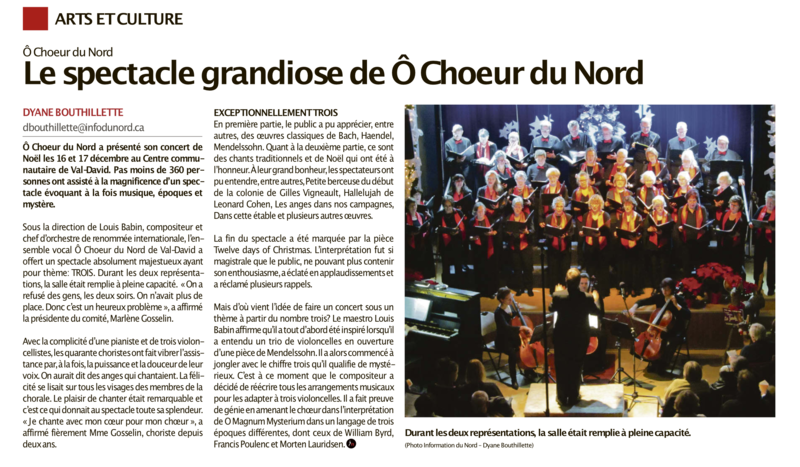 Vocal ensemble Ô Choeur du Nord’s two Christmas concerts, themed around the number “Three” and conducted by Louis Babin, sold out on December 16 and 17 2017. To give you a taste of the atmosphere, listen to the concert’s three encores. Lyrics and music by Leonard Cohen, arrangement by Roger Emerson, addition of trio of cellos by Louis Babin.